Update July 13, 2017: Destiny’s Sentinel Titan has been revealed. The last week or so has been the week of the Sentinel when it comes to Destiny 2 news, with our first gameplay footage and now a design showcase, both courtesy of IGN. With new details on the Sentinel and Voidwalker, our Destiny 2 class guide is almost complete. Check it out for the latest on each subclass’s abilities. Yesterday’s IGN First video gave us a look at the creation of the Sentinel from both a game design and artistic standpoint, with comments from Claude Jerome, senior sandbox designer, and David Samuel, senior effects artist. IGN took the Sentinel for a spin in the Crucible earlier in the week, showing off the Super in action. One of its attacks will be a charging shield bash, which Jerome describes as “the Void version of shoulder charge in Destiny 1.” You can also use the shield to block incoming attacks – it is a shield, after all – and Samuel says veterans of the original should expect to be much more mobile when they do this than they were when blocking with a sword. You’ll still be able to jump and move at a decent pace. But, as Luke Smith told PC Gamer a little while ago, the Sentinel will be the only subclass in Destiny so far with more than one Super. Press and hold the Super button, and you’ll conjure a Ward of Dawn. 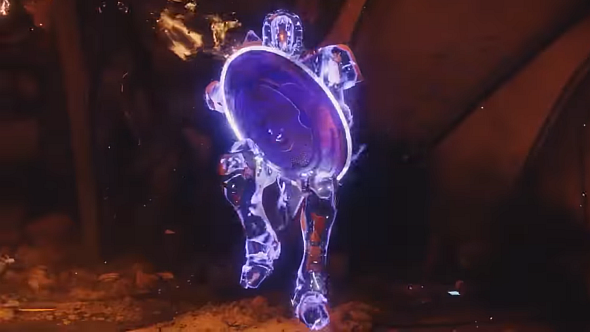 This was the Super ability of the Sentinel’s equivalent subclass in the original Destiny, and is a large protective bubble that confers a buff on your allies. With one Super that can be used aggressively or defensively, and a second that can buff allies, it sounds like the Sentinel should be one of the most versatile classes in Destiny. Check out the video above. It’s worth watching for Samuel’s sound effects alone. Original story July 4, 2017:This month, IGN will focus on Destiny 2 in their IGN First preview series, and they’ve published the schedule. This means we know exactly when to expect a number of exciting Destiny 2 announcements, including the third and last unrevealed subclass, a new environment, and several drips of PvP news. Notable dates are tomorrow (July 5), when we’ll get to explore the game’s new social space, The Farm; July 12, when we’ll see more of the game’s last unrevealed subclass, the Sentinel Titan; July 19, when “a closer look at combatants” is teased, hinting we’ll see more of your allies or enemies; July 24, when we’ll see more of one of the game’s environments; and July 26, when a new exotic will be revealed. There are also three PvP reveals, scheduled for July 10, 13, and 25, but it’s anyone’s guess as to which aspects of PvP will actually be shown on each of these dates. Other game modes, new maps, Crucible weaponry, or the return (or replacement) of Lord Shaxx, the Crucible director, are all possibilities. It’s also worth noting that the Destiny 2 beta goes live on PlayStation 4 on July 18 and Xbox One the day after. Apart from all three of the game’s subclasses, we don’t know exactly what it will contain, but chances are our console friends will be playing with at least some of this new stuff, and we’ll have plenty of coverage.